Nothing about serving on or working for a school board is easy—and that’s to be expected. School boards are ultimately responsible for the quality of education our children receive, and that means that a lot of people are going to have a lot of different opinions on how that should happen. Given those high stakes, the life of a school board and the staff who serve those boards will never be easy. 1. Using the right technology at the board level can create cost savings that do not impact educational quality. The scrutiny placed on school boards and districts to reduce costs and demonstrate efficiency is intense—and reducing costs is difficult to accomplish, particularly in the face of increasing state and federal mandates. At BoardPaq, we can’t tell you how to massively reduce costs while still maintaining the type of educational experience your students and our communities need. However, we can help you reduce costs in an area that has no impact on the quality of education your district delivers to students. How much talent, time, money, manpower, and materials does your district spend preparing for and conducting school board meetings? After working with a growing number of school boards, we can tell you that it is too much. Simply put, you have more important things to do with your time and money than physically assembling board materials. 2. Using the right technology at the board level can help attract innovators to your board. While some districts are leading the way when it comes to how they use technology in education, other districts haven’t made the leap when it comes to incorporating technology. There are valid reasons for that, including cost and a significant number of competing needs. One consequence of a district that is technologically lagging is the type of school board member it attracts. Simply put, innovators are attracted to innovation. And innovative school board members are attracted to innovative school boards. 3. Using the right technology at the board level keeps the public informed. Constituents—particularly parents—require transparency from their school board. Anyone who has served on a school board knows that you can make honest mistakes, but the worst thing you can be accused of is a lack of transparency. And in this day and age transparency means easy electronic access to agendas, minutes, and a directory of school board members. 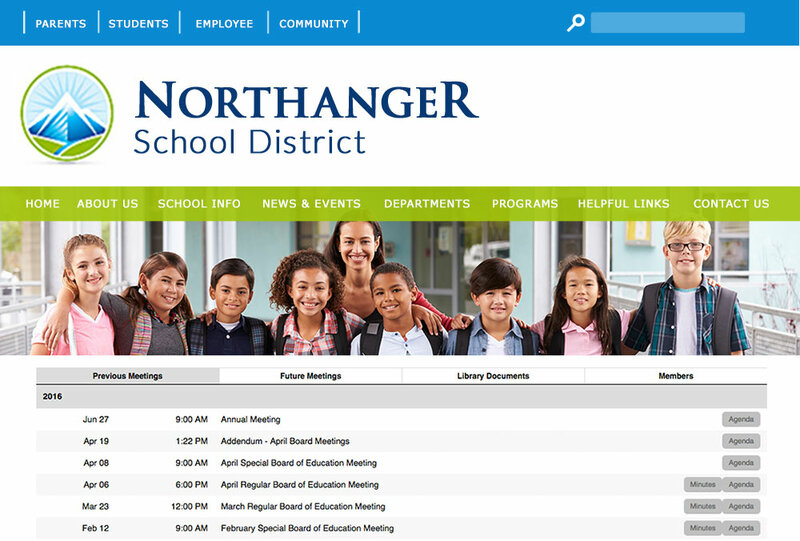 BoardPaq’s recently enhanced “public access” feature helps school boards provide that information to constituents, parents, and any member of the public who cares about the decisions their community’s school board makes. The ability to demonstrate transparency via BoardPaq is one of the biggest reasons why more than 30,000 board members and a growing number of school boards across the country are turning to BoardPaq and our paperless meeting solution. That’s exactly what your constituents want from their school board.